A comfortable workplace can impact productivity and that’s precisely why EZ Temp of Bergen County has all your commercial air conditioning solutions. All offices are different and commercial (and/or industrial) air conditioning units differ depending on the size and layout of the office. EZ Temp specializes in commercial air conditioning and with over a decade of experience, we’re confident that we can make your office comfortable and productive. 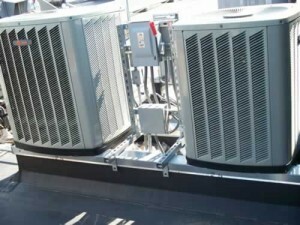 EZ Temp offers a wide selection of industrial AC and commercial air conditioning units which we install and service to guarantee your experience—and continued use of our products—is always the best it can be. EZ Temp works closely with our customers to be certain all their needs are satisfied, their expenditure is limited, and their comfort level is perfect.